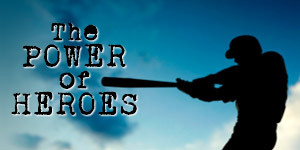 The Power Of Heroes! | Let's Biz Up! You are here: Home / 2013 / June / 14 / The Power Of Heroes! As adults, we often lose the ability to pretend, even to dream, but the truth is that emulating our heroes is one of the best ways we learn. As adults, we lose our heroes, and that’s to our disadvantage. Today, I watch young kids playing field hockey and football near my house. On the court, they’re not little Johnny. They’re pretending to be someone else, someone better than they are, e.g. Lionel Messi or Ronaldo or Teun de Nooijer for the hockey players among us. They understand what most of us forget: copying and emulating our heroes is one of the best ways we learn. Now that I’m older, I have new heroes. I have golf heroes, and I copy their swings and do my best to read everything I can about them. I also have business and investing heroes such as the well known Donald Trump, Warren Buffett and Steve Jobs and more recently new age business heroes like David Wood, David Sharp or Kris Darty. I know their stats just like I knew the stats of my favorite football players as a kid. I follow what they invest in and how they build their (online) businesses. I read everything I can about them and by them. I want to emulate how they invest and how they negotiate deals. Just as I wasn’t me when I was up to shoot a hockey ball as a child, when I’m investing in the market or negotiating a deal, I subconsciously act with the bravado of e.g. Trump. When I analyze a trend, I look at it as though I were Warren Buffett or David Sharp. By having heroes, we tap into a tremendous source of raw genius—and we make it our own. The rich have heroes, and they emulate them. The funny thing is, when you do that, you often become someone else’s hero in the process. That is the power of emulation. Who are your heroes? Who does what you want to do and makes it look easy? Get to know everything about them and begin copying what they do. That’s an integral part of financial education. Today, your heroes may be different than mine. Perhaps you admire Mark Zuckerberg, Jeff Bezos, Lady Gaga or Marissa Mayer. Each generation has its own heroes. The point is not who they are but what they do! And if they can do it, so can you. Eventually, you’ll find your own style, but no one starts ready for the majors. The good news is that you can and will get where you want to be. We all just need a little help—and a little hope—along the way. 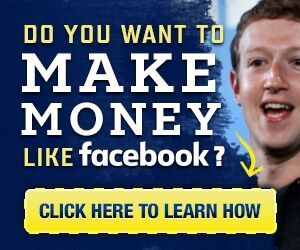 Click here now and start educating yourself today! Create your own little hope!